Impressions of a Dark Chamber. 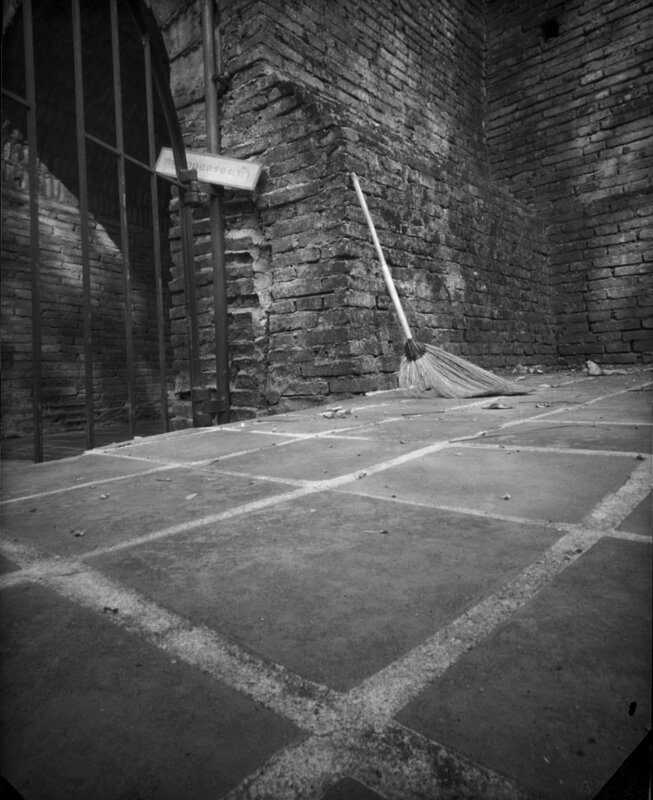 A 4 x 5 pinhole camera was used to create this series of photographs. Made by hand, the pinhole camera acts as a miniaturized camera obscura. This natural phenomenon allows the outside world to be flipped and projected on the opposite wall of any dark chamber. There is no lens on this contraption, only a tiny hole painstakingly created with a needle and aluminum. In this series of twelve photographs, we can see scenes throughout Thailand begin to take shape. The slow process creates a ghostly impression on the TXP 320 film, further exploring a dialogue between dreams and reality.